1: Mini Triangle hook 4.00mm dia. Elastic braided cord multi-coloured. 2: 5.00mm dia. vivid blue stretch cord with black mini-fix wire wound. 3: 5.00mm dia. black stretch cord with tight 4.00mm int.dia. Top: 6mm dia. 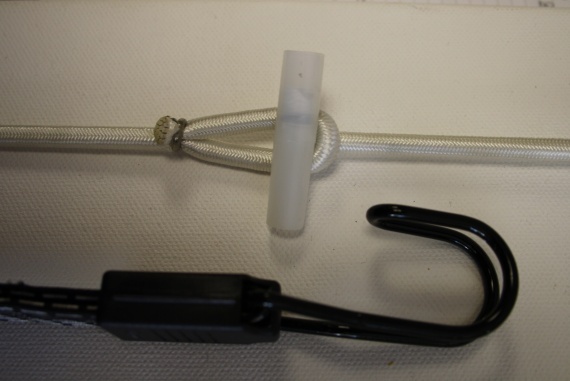 white stretch cord with swivel lock end fixing. Bottom: 22mm int.dia. 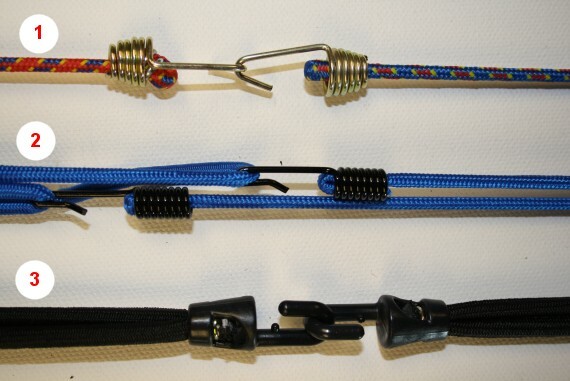 hook stitched with black/silver cord bungee strap x 60cm lengths.